Not a day goes by that I don’t incorporate the plays or the language of Shakespeare. The Millionaire and the Bard, by Andrea Mays, is – as the New York Times describes it – “an American love story” about a man and his obsession. Mays’s book chronicles the story of Henry Folger, an executive of John D. Rockefeller’s Standard Oil, and his hunt to acquire every copy of Shakespeare’s First Folio. Without the First Folio, there is a high likelihood that most – if not all – of Shakespeare’s plays would have been lost forever. In Shakespeare’s time, plays were meant to be seen as a form of entertainment and were not regarded as literature. Therefore, most scripts were discarded after a production. It took two forward-thinking members of Shakespeare’s company, actors John Heminges and Henry Condell, to compile as many plays as they could find and present them, in some order, to the print shop of William Jaggard. There, Jaggard and his son, Isaac, spent much of 1623 printing the First Folio of Shakespeare. 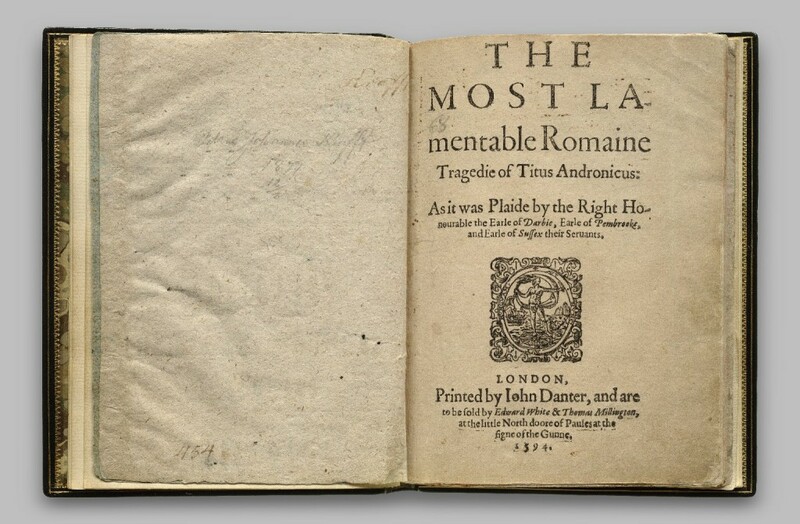 According to the Folger Library website, it is estimated that 750 copies were initially printed, 233 survive, and 82 are in the collection of the Folger Library. Henry Folger also amassed a collection of tens of thousands of pieces of Elizabethan and Jacobean artifacts and publications to be housed in his library, making the Folger Shakespeare Library a premier research library for that time period. 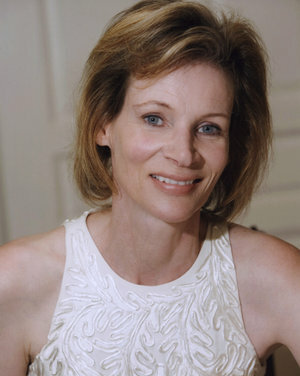 In the following interview, Mays explores the ways in which she conducted her research for the book, and her own obsession with Shakespeare. THEATERIFIC: When and how did your interest in Shakespeare begin? How were you first introduced to his work and how did you continue to cultivate that interest? ANDREA MAYS: It started as obsessions probably do for many people: with an excellent teacher! I had a fantastic English teacher in middle school, then two more – including Frank McCourt – in high school. In school we used the Folger Editions of the Shakespeare plays. When I moved to Capitol Hill in the 1980s, I walked past the Folger Shakespeare every day on my way to work. I had already been attending the plays and reading them for 20 years when I had the idea to write a book about something related to Shakespeare and the man who amassed the collection I walked by every day. What inspired you to explore the life of Henry Folger? Why were you motivated to write about him, his collection, and his library? I encountered Henry Folger a few times before I wrote this book. In graduate school and law school at UCLA I studied the famous Standard Oil antitrust case: Henry Folger was one of the defendants. When I moved to Capitol Hill in the 1980s, I walked past the Folger Shakespeare every day on my way to work. I grew up in New York City, surrounded by the trappings of the Gilded Age: playing in the gardens of the Carnegie Mansion, walking by the Frick Mansion on my way to school. Henry Folger came to mind when I was looking for a story to tell about the Gilded Age. I had not heard about him as a Gilded Age titan, and at his Folger Shakespeare Library I saw nothing that described where the money came from that enabled Folger to amass this amazing collection. I wanted to combine his unknown story with his and my love of Shakespeare. 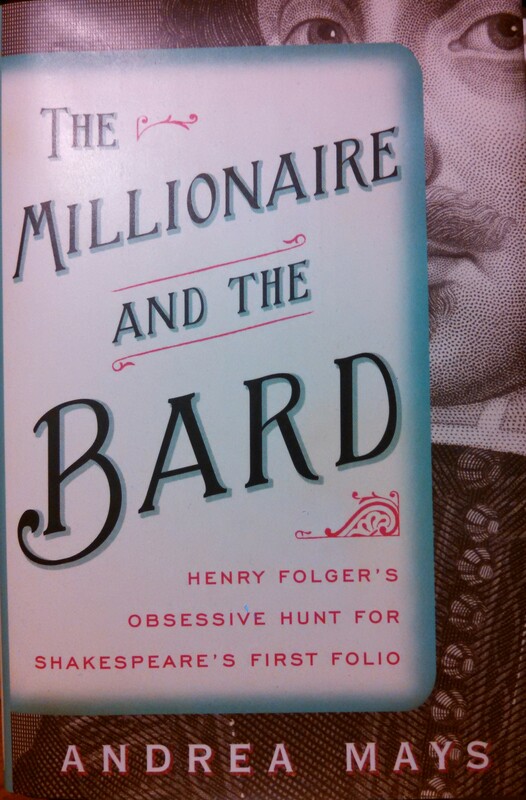 The Millionaire and the Bard was released on May 12th. You clearly referenced hundreds of sources while conducting your research. Your bibliography and notes are extensive. Where did you start? I spent a year reading or re-reading the basic books about Shakespeare and his times: the classics like EMW Tillyard’s book about Elizabethan society, modern books like Ron Rosenbaum’s The Shakespeare Wars, and all the books I could find about printing in the 17th century. I visited a printing museum in Torrance, California to get some hands-on experience with a printing press, and I read or re-read each of the 38 plays written by Shakespeare. Next, I read the archive Henry Folger left behind. He saved every scrap of paper, thousands of letters he wrote to book dealers and to his mentor John D. Rockefeller, every auction catalogue, and thousands of check stubs. Those were an excellent place to start. Aside from the written primary sources that you referenced, what other types of research materials, conversations, or personal experiences helped you with the writing of this book? The major research materials were at the Folger Library, at the Standard Oil archive at the Ransom Center at the University of Texas and at the Rockefeller Archive in Westchester, New York. Aside from those sources, I made a trip to Amherst, Massachusetts to see where Henry had spent his college years, and to the Standard Oil headquarters building at 26 Broadway in New York. The one additional unusual resource I had at my disposal was my exposure to some hard-core crazed collectors I have known for decades. Their experiences in acquiring precious objects or books (including their penchant for financial brinksmanship) was very helpful to me in understanding Henry Folger. Finally, I met many people at the Folger Library, fellow travelers, and Shakespeare lovers. One man, Anthony James West, stands out as being very influential in the process. One of the world’s (two) great authorities on the First Folio, Anthony West has an encyclopedic knowledge of each copy of the book and its provenance, price, and owners. He also has a great gift for narrative and was extremely generous in pointing me in directions I would not necessarily have gone. I visited the library last year, but of course only entered the exhibition gallery and the theater on the far end. What kind of access did you have to the library and how helpful was the staff with providing information for the book? The staff at the Folger Library is extremely knowledgeable and professional. They were very helpful: from the head librarian to the research librarian on down to the people who brought documents and books up, including First Folios, to me in the reading room. I also made several trips to the vaults of the Folger Library, where I handled multitudes of First Folios, the unique Titus Andronicus quarto, and other treasures. By the way, the public can visit the reading room on a scheduled tour at noon on Saturdays. That way you can see more of the treasures and you can see where Emily and Henry’s ashes are kept! What was the most fascinating part of the library for you? Why? The freezing cold vaults below ground contain the most precious relics in the collection. I saw the entire collection of 82 First Folios in situ: as they are stored for safekeeping and preservation. The staff let me hold and examine the only known copy of the 1594 publication of Titus Andronicus. I examined an elaborately carved oak cask, hand made and inlaid with an engraved silver plaque: the cask was made from a piece of oak from the Herne’s Oak given by Queen Victoria to banking heiress Countess Angela Burdett-Coutts. Herne’s Oak plays a part in Shakespeare’s Merry Wives of Windsor as the place John Falstaff gets some come-uppance. The carvings on the cask illustrate the Globe Theater and characters from Merry Wives. The box was used to store one of her copies of the First Folio, now owned by the Folger library. 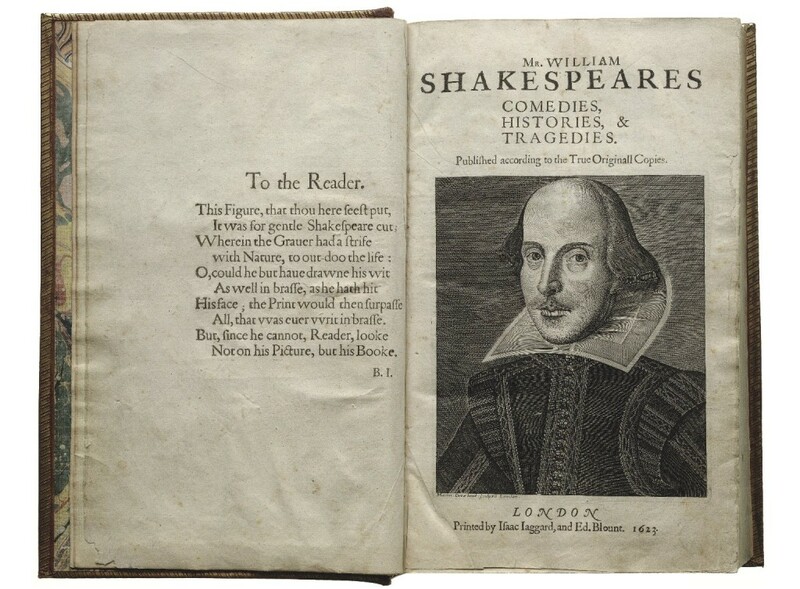 Did you get to examine a First Folio up close? Do you remember which one specifically? What was the most interesting thing about the book, in your opinion? I examined about a dozen First Folios at the Folger Library, and the two held by the Library of Congress as well. In one instance I examined a copy that had the slight trace of ink from a printer’s ornament – a round medallion – that was accidentally transferred to a page in the First Folio. At the same time I was able to examine a copy of the book in which the medallion was printed: both it and the First Folio were being printed at the same time in William Jaggard’s print shop. On another occasion, I looked at several copies all at once, noting differences in the size of the pages, bindings, condition, marginalia. Most interesting was turning through the pages and observing first hand the differences in the copies: one page in one containing a printer’s proof sheet, another copy with the uncorrected text, still another with the corrected version of the text. What was the most fascinating book/object that you were able to see that wasn’t a First Folio? I have already described the 1594 Titus quarto above. Next to that? Henry Folger’s retirement gift from Standard Oil: a beautiful Tiffany bowl in gold and silver with each leg of the bowl carved with the initials “SONY” [Standard Oil of New York] and “SONJ” [Standard Oil of New Jersey] for the Standard companies he had worked for. You are clearly passionate about Folger, the subject of his collection, and his library. Do you see any parallels between yourself and Henry Folger? Like Henry Folger, I enjoy reading the plays and watching them being performed. Like him and like Emily Folger, I do not tire of the magnificent language Shakespeare used. I enjoy the plots of the stories. Many of the plots were stolen, but improved upon. Most of all, Shakespeare teaches us about love and loss, jealousy, hatred, admiration, loyalty and the whole range of human emotion as experienced by early modern man, Kings and gravediggers. And in the end, man of today is not all that different than man Shakespeare describes. Where I differ with the Folgers is that I do not have the collecting bug! I am happy to examine and delight the treasures they amassed without coveting them. What role do the works of William Shakespeare have in your life today? Not a day goes by that I don’t incorporate the plays or the language of Shakespeare. I quote Shakespeare in my classes, use part of The Merchant of Venice in my Law and Economics classes, and use Timon of Athens to teach about politics in modern life. “Into thin air”, “the green-eyed monster”, “sea-change” and hundreds of other expressions originated with Shakespeare. So much of the color of the English language comes from Shakespeare: you, too, are using his language, whether you know it or not. If you were able to sit down with Henry Folger and could say one thing to him, what would you say? Thank you! I would thank him and Emily for putting their magnificent collection – truly a piece of Elizabethan and Jacobean heaven – in the nation’s Capital and making it available to scholars. If you want to study Shakespeare, or his contemporaries, or medicine, botany, science, music, or acting, or plays in the 16th through 21st centuries, the Folger library is a priceless resource. Do you have any plans to continue your work on Shakespeare and/or Henry Folger? I am working on a project for high school students that will draw from materials in The Millionaire and the Bard. Most people are surprised to find out that Shakespeare was not the God of English language literature when he died: his ascendance to that status took a few centuries. I will tell that story to young adults and their teachers. I have a young adult book about Pickett’s Charge at Gettysburg almost finished. I am also collaborating with the world’s expert on First Folios on another book project, the nature of which I am not at liberty to disclose yet. Last, I am writing a one-act play about a meeting (that never took place) between John D. Rockefeller and Ida Tarbell, whose exposé about Standard Oil in the early 1900s created the lasting impression of Standard and Rockefeller as evil and harmful to consumers. Is there anything you’d like to promote? I will be appearing at various book festivals over the next year: Texas Book Festival (Austin), Miami Book Festival, Savannah Book Festival, Tucson Book Festival with several others in the works but not fixed yet. In 2016 I will be speaking in several locations as copies of the First Folio from the Folger collection travel to all 50 states. I will be speaking at various bookstores and a few private libraries. People can follow me on Twitter @AndreaEMays to get updates on where I will be appearing near them. How can people find you and your work? @AndreaEMays on Twitter, also on my author page at Amazon and Goodreads, which I will be tending to before the end of the summer. Happy Reading!